One thing that sets us humans apart from most animals is that we’re capable of creating things and using them to improve our lives. We’re tool-makers, creators, and builders. We make things, repair possessions, and develop all kinds of fun and useful stuff! The call to make something is ingrained in us, no matter if we’re craftsmen or desk workers. What value does making things bring to an adventurer? Of course, having the ability to build or repair equipment is an incredibly useful skill to possess, but in my opinion the practice of creating things is helpful in another way. When you make something, you’re not just building a bench, painting a mural, or erecting a shelter. You’re practicing creative problem solving. The act of using your hands to make something improves your neuroplasticity, creating new neural pathways. What does this mean? When you make something your practical intelligence gets a boost. It’s an upgrade for your brain. So when something doesn’t go exactly as planned, you’ll think more quickly on your feet, work the problem, and more adeptly come up with a solution. What tools do you have? I’m not just talking hammers and saws, but also paintbrushes, paper, cordage, and clay. So what do you want to make? I like woodworking. I’m not particularly skilled at the craft, but I enjoy it. I’ve made bookshelves, tables, and yoga benches. 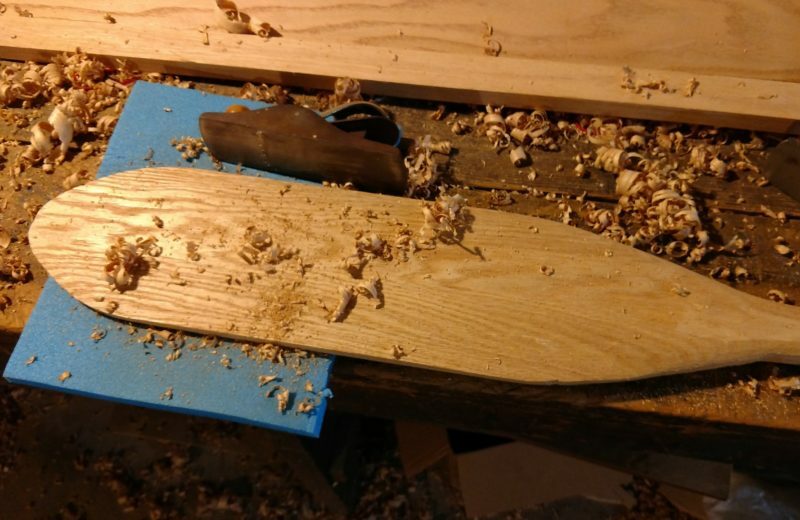 Making canoe paddles put my mind in almost a meditative state. I’ve even tried my hand at making my own bows, but haven’t had much success yet. That’s okay, the bowstrings I produce never let me down. But what are you into? What would you like to create? Whatever it is, don’t hesitate; start now, not later. Whether it’s wood, clay, paper, or paint, make something. Great advice, Wade. Especially as more and more of us today seem to be ensnared in electronic worlds! I’m not knocking the digital, it is after all how I make my living. But there’s definitely something about working with the hands, actually making something, that’s incredibly liberating.